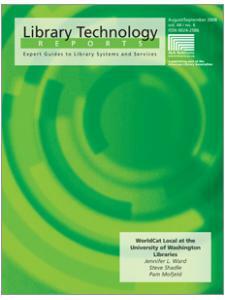 In the past fifteen years, the World Wide Web has become such a major part of the library world that most libraries now have some presence on the Web. 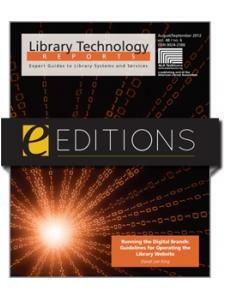 This issue of Library Technology Reports explores the idea of the digital branch—a library website that is a vital, functional resource for patrons and enhances the library's place within its community. The report outlines an efficient process for creating a digital branch, from the initial phases of gathering information and sketching out a design, to winning approval from management, hiring qualified IT staff, and maintaining and upgrading the site once it is built. Throughout the report, the author regularly uses his experience at his own library as an example of how the process can unfold and what pitfalls to avoid. David Lee King is the digital services director at Topeka and Shawnee County (Kans.) 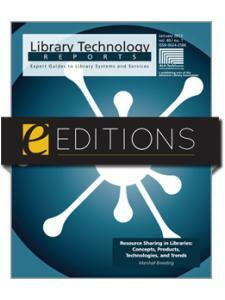 Public Library, where he plans, implements, and experiments with emerging technology trends. He speaks internationally about emerging trends, website management, digital experience, and social media, and has been published in many library-related journals. David is a Library Journal Mover and Shaker. His newest book is Face2Face: Using Facebook, Twitter, and Other Social Media Tools to Create Great Customer Connections. David blogs at http://www.davidleeking.com.